Rugby Street Pastors held their Celebration Lunch on the 28th February 2015. 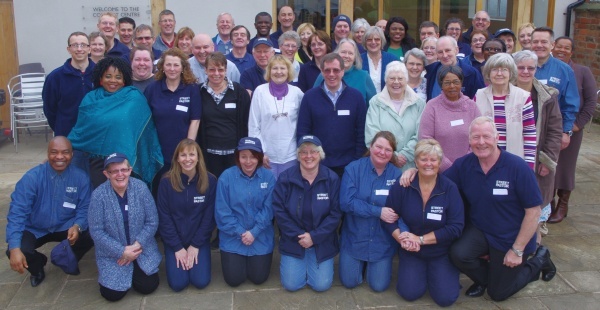 This annual event enables the Management Team, the Street Pastors and the Prayer Pastors to meet together, along with their partners to celebrate the work that has been achieved over the previous year. 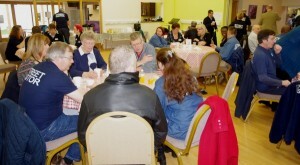 Our Guest speaker this year was Roy Crowne, CEO of HOPE. Our latest cohort of recruits were presented their certificates, having completed their 50 hours of training. 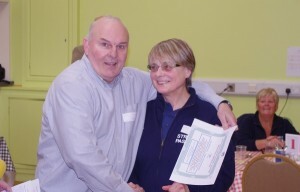 Carol Bennington receiving her certificate from Roy Crowne. As always, Rugby Christian Fellowship’s resident volunteer chef – Paul Chappell provided us with an excellent 3 course lunch!